Which AIA Contract Document Do I Need? For assistance in selecting the correct AIA Contract Document, click HERE. Or, call experts at The Institute at 1-800-242-3837. Or, email your question. • Purchase AIA Paper Documents . . .
AIA St. Louis maintains a limited inventory of the 14 Contract Documents that are printed in paper copy. If you wish electronic versions of the documents as well as educational program, we suggest you call AIA Contract Documents at 1-202-626-7526 or 1-800-242-3837 for questions regarding licensing, contract language, etc. AIA St. Louis has a very limited supply of printed paper AIA Contract Documents that must be completed by hand or typewriter. 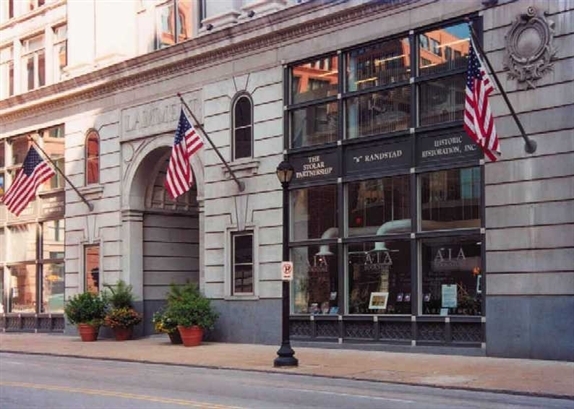 We suggest you call before traveling to AIA St. Louis as we carry few paper documents. View the AIA Contract Documents list for documents that are currently available in paper copy. To order paper documents, please email or call (314) 621-3484..
Opt for easy flat rate priority mailing for $10 ...or coordinate pickup at the AIA St. Louis. Payment is accept via cash, credit card or invoice for pre-established accounts and AIASTL Member Firms. • AIA Documents Available Anytime . . .
Single-Use Documents: Documents on Demand OR Documents on Demand PLUS (edit/preview online). Annual Document Licenses: Annual Document Licenses: a good option if you purchase many documents. Online/Software Questions? Call AIA National at 1-800-942-7732 or e-mail (Mon - Fri 8:30am-5:00pm EST).